Two years ago I wrote a two-part review of a book by William Manchester called “A World Lit Only By Fire.” The book was a wonderfully written history of the early middle-ages and beyond. I enjoyed it so much that I had to write a long, two-part review. It got a fairly good response and I was happy at that. But over the past year or so, I’ve noticed that I’m getting a huge number of hits on those reviews. For example, over the past week “A World Lit Only By Fire, Part 1” has had 177 views, and Part 2 has had 132 views. Is there a history class out there that’s using my posts for study aids? Don’t get me wrong, I’m fine with that. Flattered even. I’m just real curious about the who and what and why, etc. So, if any of you viewers have a spare moment please drop me a comment and let me know where all the views are coming from. At the end of “Little House on the Prairie,” the second of the classic nine-book series by Laura Ingalls Wilder, Laura and her family were setting out from their home for parts unknown. In “Farmer Boy,” the third book, we start out a long way from the prairie. We find ourselves in New York State at the very large farm of the Wilder family, home of Laura’s future husband, Almanzo. And again, as in the first two books, we are allowed an enthralling glimpse into American life in the late 19th century. Instead of the adventurous wanderings of a pioneer family, this time we see the equally challenging existence of an American farm family. Trust me, it could be nearly as harrowing as life on the frontier. From cutting blocks of ice from the nearby “pond,” to hauling wood in sleds over treacherous, snowy roads, to a race to save a corn crop from freezing in the pre-dawn hours, farming was a physically taxing and emotionally stressful occupation which required a person’s complete commitment. Much like it is today, I would guess, except without all the technology. Fortunately for Almanzo, and the reader, life on a large farm with a big family had many joys as well. For one thing, Mother’s cooking. That woman could cook! 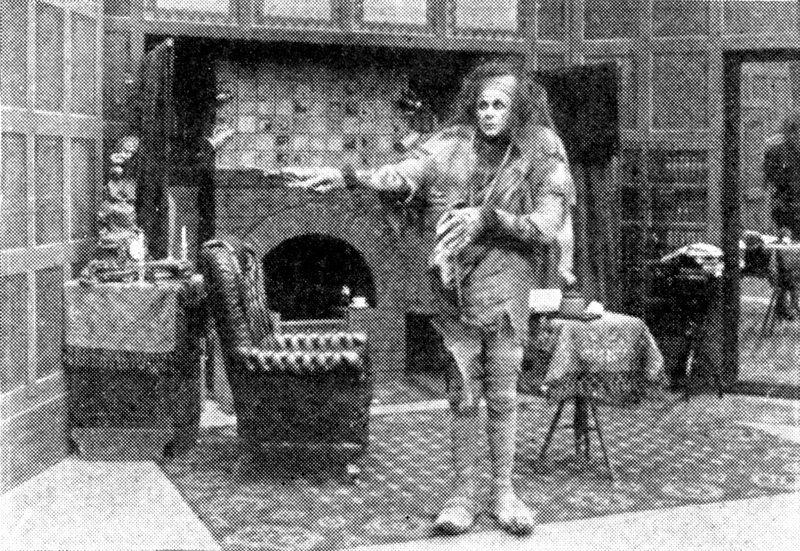 And could that Almanzo eat: “Almanzo ate four large helpings of apples’ n’ onions fried together. He ate roast beef and brown gravy, and mashed potatoes and creamed carrots and boiled turnips, and countless slices of buttered bread with crab-apple jelly.” Think he was done? After all that, Mother “put a thick slice of birds’-nest pudding on his bare plate, and handed him the pitcher of sweetened cream speckled with nutmeg . . . Almanzo took up his spoon and ate every bit.” Not a book to read while you’re hungry. As in the previous books, there really isn’t a plot as such, more of an examination of life at that time and place in America. 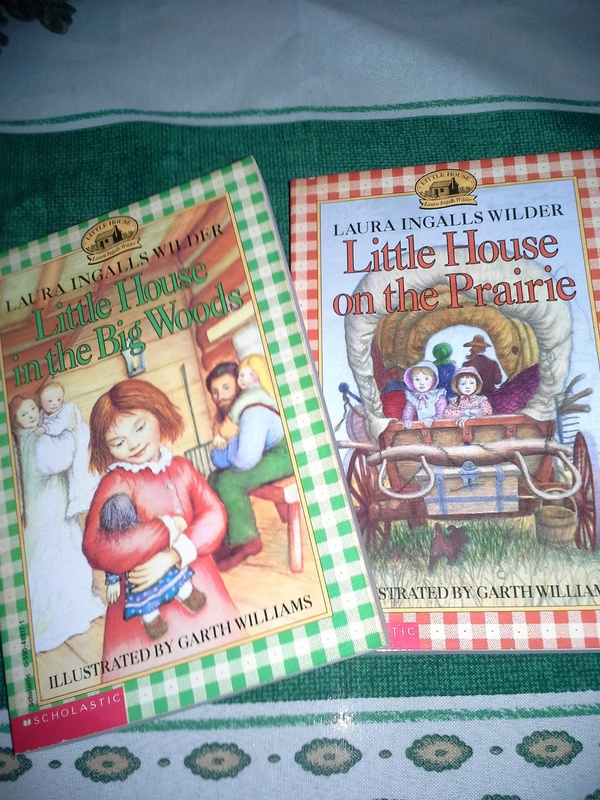 More important than a story line, though, are the virtues Laura Ingalls Wilder allows us to witness in these books. We see the love and loyalty of close families, the respect of children for their parents (though not always obedience! ), as well as hard work, dedication, perseverance, courage, duty, honesty and kindness. These are the true building blocks of American civilization and we forget about them today at our nation’s peril. That’s a pretty good reason to make sure today’s children are exposed to these books. The great, dark trees of the Big Woods stood all around the house, and beyond them were other trees and beyond them were more trees. As far as a man could go to the north in a day, or a week, or a whole month, there was nothing but woods. There were no houses. There were no roads.There were no people. There were only trees and the wild animals who had their homes among them. I love this opening. Ernest Hemingway would love this opening. Heck, Hemingway would love this book. For all I know he may have read it. If he did, I’m sure he smiled. The above sentences introduce the reader to a series of true American classics, the “Little House” series of books by Laura Ingalls Wilder. That’s right, “Little House on the Prairie” was not a single book but the second in a series of nine books about growing up in the American pioneer days. More than just books for young people, these books are considered by many to be valuable records of an important time in our nation’s history. I’ve wanted to read these books for many years but put off starting until I had all nine volumes. Then a couple of weeks or so back, while browsing around one of our favorite thrift stores, I came across the reason I frequent such places. Sitting on a shelf in the children’s book section was a brand new boxed set of all nine “Little House” books put out by Scholastic Inc. I mean the paperback spines weren’t even creased! The price: $3.99. After I put my eyes back in my skull, I grabbed the set and hugged it to my chest. So far I’ve read the first two books: “Little House in the Big Woods” and “Little House on the Prairie.” In straightforward, efficient prose, Laura tells the story of what it was like growing up in the late 1800s with her Ma and Pa and sisters, Mary and Baby Carrie. These books aren’t about plotting and characterization but rather they are the treasured recollections of a young girl plainly told. The chapters are connected episodes explaining what living on the nation’s frontier was like, including descriptions of the many skills they possessed and the labors they performed to get through the seasons, especially the long winters. And, yes, you do get to know the characters, but they are revealed by their actions and responses to the situations they find themselves in. Very much like the way one comes to know a person in everyday life. Pa is confident in his abilities, possesses a joy for life and a deep love of his family. And he’s pretty good with a fiddle too. Ma is more subdued, an excellent cook, gardener, seamstress, and calm as a rock in the face of trials and unexpected encounters with bears. Mary, the older sister, is the good little girl, never raising a fuss. Of course, Laura is the one who’s curious about everything and willing to challenge Ma and Pa’s boundaries to find out what’s going on. And Baby Carrie is . . . well, a baby. Before dawn, Pa went away. When Laura and Mary woke, he was gone and everything was empty and lonely. It was not as though Pa had only gone hunting. He was going to town, and he would not be back for four long days. The simplicity and directness of Laura’s words convey a sense of vulnerability that’s hard to match. 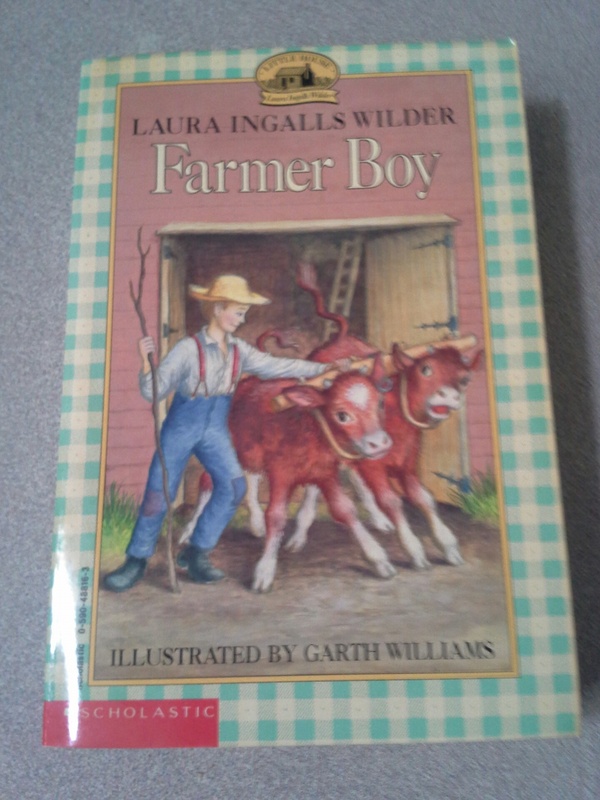 I’ll be starting the third book, “Farmer Boy,” soon and I’ll do a review of that and a few more as I read them. But do yourself a favor and get these books and read them. Read them for yourself and to your children. They are true American classics and remind us of how the American character was formed and what it is that makes this country and its people something special. It is so important that we keep these memories alive, both for ourselves and, even more so, for our young. The other day while my wife and I were shopping in one of our favorite thrift stores, I found what looked to be a nifty little book. Titled “The Little Book of the Holy Grail,” (Barnes & Noble/The Book Laboratory, 2004), it purported to give some historical background to the grail legends and even “retells two of the most famous Grail stories.” It was also loaded with marvelous Medieval art related to the grail. Oh, yes. I bought it. Disappointing could be taken as an understatement here. Let’s start with the writing. The author, whose name will not be mentioned as a courtesy, is supposedly an attorney with a Master’s degree in Theology. They should have taken a composition class or two. 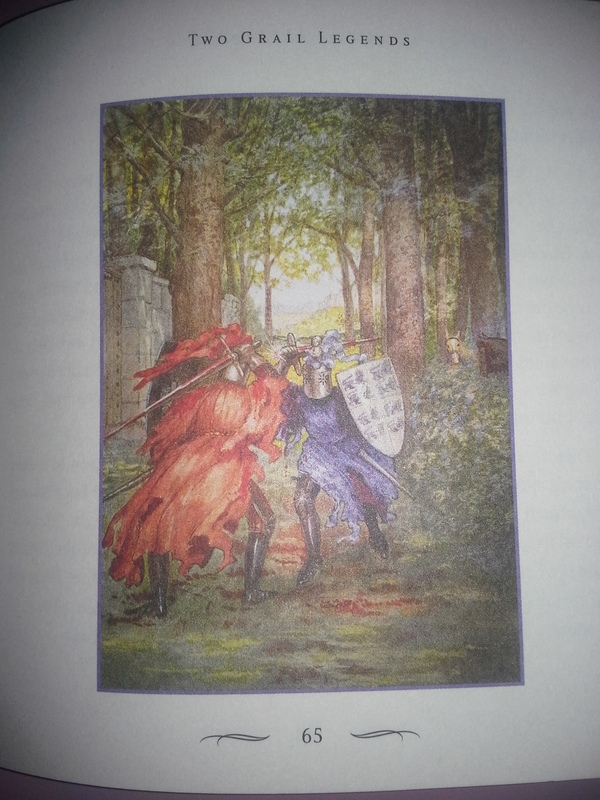 The first section of the book, about the history of the grail legends, is pedestrian at best. It gets the facts across and that’s it. The recounting of the grail stories is where the eyes glaze over. Honestly, I’ve read better fifth grade book reports. I’d quote it but I want you to finish this post. For the big finish, the final section of the book is called “Reclaiming the Feminine Aspect of Christianity.” Here the author tries to make Dan Brown look like a scholar by going over the same “was Jesus really married to Mary Magdalene?” road that’s been traveled to death. There’s even a chapter here titled “The Conspiracy Continues?” Honest. The only saving grace for this book are the beautiful reproductions of grail-themed art. Yet even here, the book falls short. None of the artwork is identified by artist or title. The only thing the reader is given is a list of acknowledgements as to the sources of the paintings and drawings. Frustrating. I was going to donate this book to another thrift store, but then I had an idea. I have purchased several nice wooden frames at another thrift store we frequent and I plan to use a very sharp utility knife to extricate my favorite pictures and place them in the frames. I’m still trying to decide where I will hang them, but I know they’ll look great wherever they wind up. Nice save, if I say so myself. Once again Independence Day (or “The Fourth of July” as many still call it) is upon us. It’s that most American of national holidays, a time for picnics, parades, fireworks and patriotic songs. We go camping, take in a movie, take advantage of the special sales at the malls, get together with friends and family, and make sure we eat such “American” food as hamburgers, hot dogs and apple pie. And maybe, just maybe, we give a thought to what it all means while we watch the fireworks dancing in the night sky. Something to do with the birth of our nation, right? This year there is a heavier feel to this usually festive holiday. There is a division among the people of this Union. A very deep one. On a day that is supposed to remind us of our identity as a nation, the weight of political ideologies and cultural differences rend that identity like an old flag. Can anything be done? In most countries tradition, based to a very large extent in folklore, history, and geography, has grown up over the centuries. Unfortunately, the U.S. is too young a country, and its inhabitants too diverse in character and too much on the move, for a folk tradition of the Old World type to have grown up. Perhaps it’s time we started to re-tell America’s unique folktales and legends, both to ourselves and our children. Even more, maybe it’s time for our schools to require their students to read more of classic American writers such as Mark Twain, Washington Irving, Nathaniel Hawthorne, Henry W. Longfellow, Carl Sandburg, and Edgar Allen Poe, to name but a few. I think it’s time for an American Canon of national literature. We need stories that can bring us together as a people rather than ideological narratives that divide us. Putting such a canon together could be a national project that itself might get us communicating and working together. Our country has a treasury of stories, poetry and essays hidden in libraries and schools, barely noticed or mentioned for years. It’s past time for them to see the light of our classrooms once more. Horace Beck, in concluding his introduction, writes about “uncovering the foundation of our shared sense of national unity.” It’s 35 years since he wrote those words and we’re rapidly running out of time to find it. But even when I’m sick, there is one thing I still can do. Read. So here’s a brief recap of what I’ve been reading since the last time I put fingers to plastic. I finished the fourth book in Dean Koontz’s Frankenstein series, “Lost Souls,” in which we meet the third incarnation of Victor Frankenstein, Victor Immaculate. By far the worst of the three, he is even scarier because his views are the same as certain groups of very radical environmentalists today. You might think that there couldn’t be anything funny about this book, but you’d be wrong. Koontz’s pairing of characters and the situations he places them in bring forth some of the best dialog you’ll ever read. Trust me on this. The fifth and final book in the series, ” The Dead Town,” is ready and waiting for me to finish two other books I’m now reading. One of which is Eugene Peterson”s “Eat This Book.” My Christian friends will recognize Peterson as the author of “The Message.” Some think “The Message” is another paraphrase of the Bible but it describes itself as a “contemporary rendering of the Bible from the original languages, crafted to present its tone, rhythm, events, and ideas in everyday language.” Now, in “Eat This Book,” Peterson discusses the best ways to read this amazing book called the Bible. He stresses that we should try to avoid “atomizing” it, chopping it down into little factoids or proof texts for our pet positions. He spends a lot of words exploring a type of spiritual reading called “lectio divina” which has come down to us from ancient Christians. It’s a wonderful, encouraging read. Finally, I’m reading the second in Thomas Cahill’s “The Hinges of History” series, titled “The Gifts of the Jews: How a Tribe of Desert Nomads Changed the Way Everyone Thinks and Feels.” I read his first volume “How the Irish Saved Civilization” last year and was completely charmed by it. This volume is equally well-written and fascinating. Even if you’re not a person of faith, you owe much to this bunch of desert dwellers. Without their beliefs and ideas, the way we view ourselves and our world would not be possible. Well, that’s it for now. There are plenty of other books lined up for this year as well. I need to put together some sort of reading plan, but since organization has never been one of my strong suits I won’t promise anything. But I will promise to try to be better about getting to the keyboard. Once I’m feeling better. Better spray your screen with Lysol for now. This weekend I read of the passing of Jacques Barzun. It made me more than a little sad. Not because I was his biggest fan or have read all of his books (I’ve read one.) What made me sad was that another great mind and insightful thinker has passed from our world at a time when we can ill afford the loss. The Evolution which triumphed with Darwin, Marx, and Wagner . . . was something that existed by itself. It was an absolute. Behind all changes and all actual things it operated as a cause. Darwinism yielded its basic law, and viewed historically, its name was Progress. All events had physical origins; physical origins were discoverable by science; and the method of science alone could, by revealing the nature of things, make the mechanical sequences of the universe beneficent to man. Fatalism and progress were as closely linked as the Heavenly Twins and like them invincible. Their victory, however, implied the banishment of all anthropomorphic ideas, and since mind was the most anthropomorphic thing in man, it must be driven from the field, first in the form of God or Teleology, then in the form of consciousness or purpose. These were explained away as illusions; those were condemned as superstition or metaphysics. There, in eight easily understandable sentences, was Barzun’s analysis of the idea of Darwinism. That he wrote so clearly was another of his talents. He was an intellectual who wrote so that everyone could understand. He was a public intellectual in the best sense of the word. His magnum opus, “From Dawn to Decadence: 500 Years of Western Cultural Life, 1500 to the Present,” was published when he was 93 years old. Amazing. I hope merely to be breathing by then. He lived to 104, and his death scarcely comes as a surprise. Chiefly it is a reminder that a great model of the life of the mind has departed the planet. Not many such models left, if any.